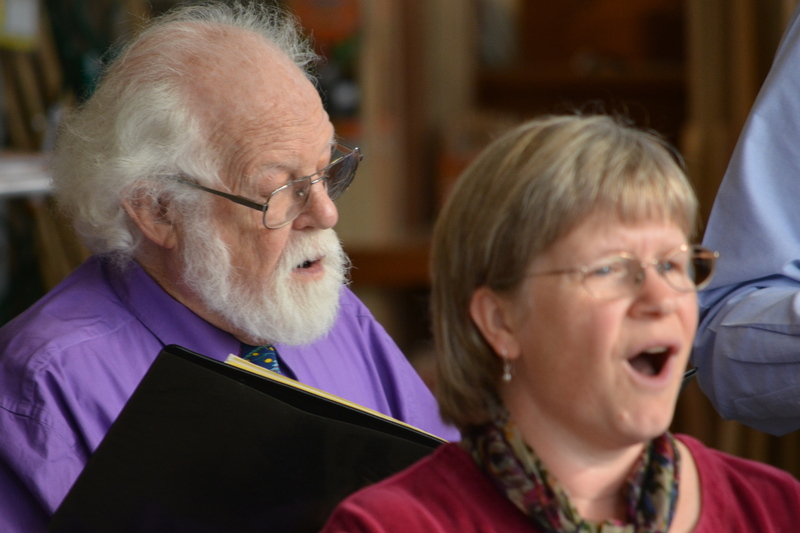 Consider joining Phoenix Chorale of Portland, Maine! We are a mixed-voice (soprano, alto, tenor, bass) community chorus based in Greater Portland. To fulfill our mission of uniting song with service and spirit, we partner with organizations that promote social justice. Twice a year we give performances of choral music related to our non-profit partner’s mission. Visit our Calender page for more information about our current and past concerts. We rehearse weekly, on Thursday nights from 7:00 – 9:00 PM, at The Woods at Canco, 257 Canco Rd., Portland, ME 04103. Just stop by to see if you like singing with us! (Be sure to check upcoming events for any schedule changes.) Or if you’d like more information, please feel free to contact our artistic director, Deirdre McClure at 207-450-7850 or email us at phoenixchoraleportland@gmail.com. Newcomers are always welcome! If you’re not interested in joining, but you’d like to support our mission, please sign up for announcements to learn about opportunities to contribute.